According to eMarketer’s first wearables forecast, the use of wearable technology is set to grow, big time. Throughout the next few years, this sector of the technology market is expected to continue double-digit growth in America. 29.5 million US adults (18 and over) were using wearables in 2015, a jump of 58% from 2014. More than that, the market is expected to reach a height of 19 billion U.S. dollars by 2018, which will be more than ten times what it was five years before that. The fact that it’s a growing sector should come as no surprise, as wearable devices fundamentally sit somewhere just outside the center of the mobile category. Wearables are, after all, just another form of mobile technology. We can take them with us wherever we go. They attach to our persons, wrapping around our wrists, sitting comfortably from ear to ear, or protecting us from the cold. Wearable tech is, in a very real sense, the new mobile. One could even argue that it represents the direction in which the current of mobile technology is flowing. However at the moment, despite being furiously pedaled in the slipstream of mobile, it seems more like a practice of throwing Post-it notes at a wall and hoping some will stick - what is interesting is that right now, it doesn’t seem like all that much is sticking! Reenita uses the example of the Kreyos Meteor smartwatch, an initiative that raised over $1.5 million dollars through Indiegogo. The product they wanted to bring to life was one that distinguished itself by offering the ability to capture a vast array of functionalities and information, performed through the device itself. After multiple delays and rejigs, the final product underperformed and ultimately didn’t live up to expectations. This is a process—design, develop hype, fund, produce, underdeliver—that many businesses in the wearables industry seem to be unwittingly submitting to. But before we get into the possible reasons behind this incessant wearable flopping, let’s go back a step. Even the success stories like FitBit seem a little underwhelming. Users, including one contributor at Wired, have reported buying a high-profile fitness wearable like FitBit, only to see it end up collecting dust in some forgotten bedside drawer. Samsung actually discovered and reported that 30% of Galaxy Gear purchases were being returned at Best Buy in the US! In a survey of 6,223 people in the US, it was reported that 1 in 10 adults aged 18 or over own some sort of modern activity tracker (like FitBit, Jawbone, Misfit wearables, etc); but again, 50% of those respondents reported that they no longer use their device, and a third of respondents reported that they had stopped using their device within six months of purchase. Wearables are being made. They’re being bought. But then they’re being ditched. So what’s going on? There’s still definitely a widespread social trepidation toward wearables and the hand they’re playing. Most certainly over the next few years, they will continue to play, in sculpting the dynamic of our evolving, tech-fuelled social landscape. When’s the last time you saw someone wearing Google Glass? I personally don’t think I’ve ever seen anyone clad in such a ridiculous, clunky, chunky, face-consuming accessory. They seem, on face value, anti-social. And it seems at the moment they almost draw too much attention to themselves. This sort of tech might augment and expand our worlds in some ways, but if not implemented with the utmost care, it will fragment and fracture them in others. Currently, there’s an obvious push-and-pull phenomenon happening, a collective struggle against the change this technology threatens to impose on us. Mix this in with the fact that even giants like Google are still ironing out the creases in their products, recalling them and then releasing 2.0 versions years later—and the obvious result is a slow saturation rate in the consuming public. In cases like Google Glass, they need to be aesthetically pleasing. Like a good rewards program, they need to seamlessly slot into our worlds without drawing too much attention. Beyond this social anxiety and the reluctance that it breeds, however, it seems wearable designers seem to be contributing to their own downfalls by making common mistakes. Many wearable technologies are still convoluted and difficult to use, requiring too much brainpower from the user for a nice and easy wearable experience. You’ve got to calibrate this, and calculate that; interpret this data, and input the results here. The reason modern smartphones have finally caught on with just about every demographic is because even people like my grandma can use them with ease. Wearables will have to offer the same simplicity if they are to really make a dent in our buying habits, and more pertinently, the way we interact with our smart tech. But this is a double-edged sword. On the one hand, wearable technology need to be easy to use. On the other hand, they need to offer useful functions that serve a real purpose. They need to create a difference in their distinction, not just on face value, or in some negligible, marginal way; the difference they need to offer consumers from other smart tech needs to be tangible and of utility. They need to sync seamlessly with other smart technology, including other wearables and serve a vital piece in the overall jigsaw of modern life. Privacy concerns must also be addressed in total. We saw what happened to Google Glass and how it played a part in its downward spiral. 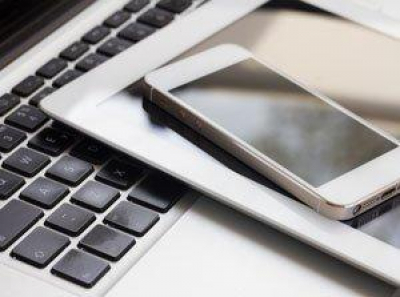 The information collected through these devices needs to remain private; consumers need to know that the data collected isn’t going to get hacked or used against them. On that note—and though this does seem obvious it needs to be said—the data needs to be accurate. If a wearable isn’t able to effectively gather data, then that data is useless. Take FitBit’s heart rate tracker as a cautionary tale. Despite the fact wearable technology doesn’t have a golden ticket into the fast-lane of consumer spending, it is inevitable that they will, and sooner rather than later, become as ubiquitous as smartphones and tablets. The benefits they provide for tracking our fitness and overall health alone demonstrate their value in our modern worlds. And the future? Well, in terms of wearables, the shape that’s forming seems to be one that will see hyper-personalised, made-to-fit technology that know us more intimately than our partners and loved ones do. We’re going to be looking at data-facilitated care, i.e. incessant data capture, and analysis, especially in competitive sports. We’re looking at gesture-based interfaces that make the relationship between us and our wearables one that’s easily managed and seamless (yes, hint, I’ve used that "S" word again). Indeed, we are still in the infancy, but wearables are on the horizon, and so we’d better start prepping for the day of wearable reckoning. Because it’s yonder, and fast approaching.